For many people, Essex conjures up images of slick, fashion-conscious simpletons with fake tans, bleached teeth and a glitz and glamour that is quite at odds with a lairy night out in Basildon, Chelmsford or Colchester, followed by a kebab and handbags at dawn over who was first in line for the taxi. However, for those who are familiar with the county, the stereotypes are just that, stereotypes, as beyond the major urban centres, Essex is surprisingly rural and picturesque, with leafy woodland, sprawling farmland and lush green pastures. But even this isn’t the full picture, as there is one, ever-present feature of the Essex countryside that is often overlooked, yet which forms such an indispensable part of our county’s identity. I am talking about its ample coastline, with mile upon mile of wild, windswept marshland and glistening mudflats, together with a maze of islands and inlets, and a sprinkling of sandy beaches and seaside promenades. Growing up in the small, south Essex town of Corringham, the coast has always been a prominent feature in my life, even if I never really stopped to think about it. 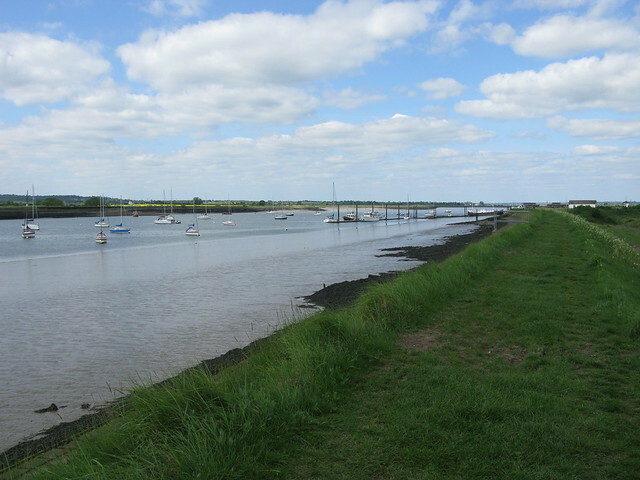 As a bike-riding adolescent, the patchwork countryside between Stanford le Hope and East Tilbury was the backdrop for many an enthusiastic birdwatching adventure, with the murky waters of the Thames never very far away and often right under our noses. Some of the places we frequented have changed quite a bit since then, especially with the building of the new London Gateway deep-sea port, whose imposing cranes can be seen from miles away. Nevertheless, adjacent to this, what was once an ugly landfill site has now been completely transformed into the wide-open, grassy haven that is Thurrock Thameside Nature Park, an exciting new Essex Wildlife Trust reserve that is set for significant future expansion. 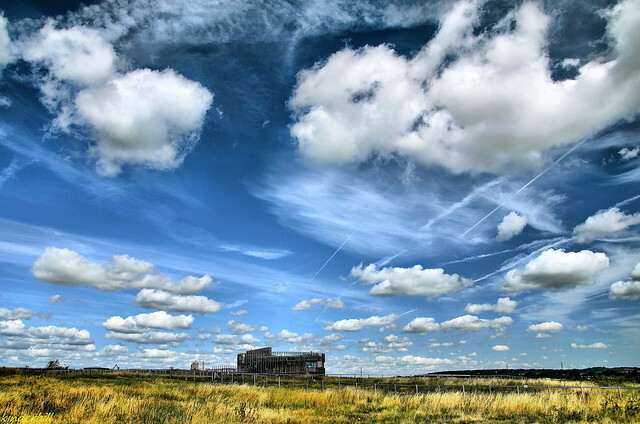 Directly overlooking the Thames, it also boasts a state-of-the-art visitor centre, complete with a rooftop viewing platform that commands quite spectacular views of this dramatic and strangely alluring landscape. Following this most iconic of rivers on its journey out of London, the next port of call is Southend on Sea, the scene of many a day trip as a child and, in later life, my home for a good few years. We were within easy reach of the Cliffs Pavilion theatre. Locals will know that from the Cliffs Pavilion’s bar, enjoying a gloriously elevated perspective, you can enjoy morning coffee or afternoon tea as you gaze out over the shimmering waters of the Thames Estuary far below. For particularly eagle-eyed patrons, the retreating tide may reveal a small gathering of common seals hauled out on the mud. And unless someone in Southend looks suspiciously like him, you may even be greeted by the sight of the one and only Christopher Biggins as he casually walks right past your table, as I once was. Beyond Southend, a sizeable chunk of coastline is swallowed up by MOD Shoeburyness, which among other things acts as a test site for weapon systems and is all but off limits to the public. At the heart of this forbidden land is the wild and enigmatic island of Foulness, which I was once lucky enough to visit on an organised wildlife trip. This was a bit like stepping back in time to a simpler, more agricultural age, while also feeling like your every move is being watched and, at the same time, wondering at the kind of high-tech military mayhem that’s unleashed there. 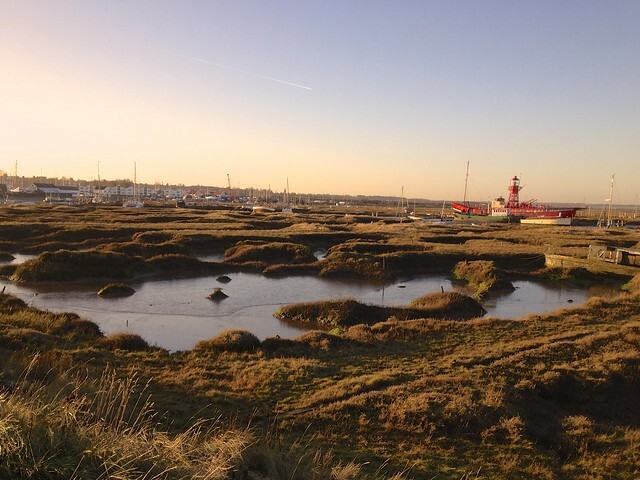 Thankfully, an altogether more user-friendly environment in which to enjoy the untamed beauty and abundant wildlife of the Essex coast is nearby Wallasea Island. As well as playing host to a fascinating array of species, including both short-eared owls and the rare and threatened hen harrier, Wallasea is the setting for the RSPB’s hugely ambitious conservation project that is slowly but surely transforming this entire stretch of coast into a breathtakingly exciting new nature reserve. For both the wildlife and the people of Essex, it’s fair to say that it promises to be quite a draw. It’s also fair to say that it’s a bit more accessible than Foulness. Just across the water from Wallasea Island is the vast Dengie Peninsula, whose extensive salt marshes and mudflats form a little-known yet genuine wilderness. I once planned to take in this tantalising intertidal landscape by walking the 13 miles of ridiculously remote coast between Burnham on Crouch and Bradwell on Sea. Regrettably, various factors conspired against this. However, immediately north of the Dengie Peninsula and just down the road from my current home, in the village of Tolleshunt D’Arcy, lies an equally wild and similarly expansive coastal no man’s land. This area encompasses both Essex Wildlife Trust’s Tollesbury Wick Nature Reserve and the RSPB’s Old Hall Marshes, with the latter site having once shoved a suitably gargantuan slice of humble pie in the faces of my wife and I. On a balmy August bank holiday, shod in hopelessly inadequate footwear – in my case, flip-flops – and carrying no food or water, we rather foolishly decided to ‘go for it’ and complete the full, gruelling six-mile circuit. When we finally got back to the car some hours later, I was almost dizzy with exhaustion and going crazy with thirst. Looking out to sea from the mouth of the Blackwater Estuary, nearby Mersea Island possesses a captivating rustic charm, with gorgeous countryside, scenic beaches and a picturesque maritime waterfront. 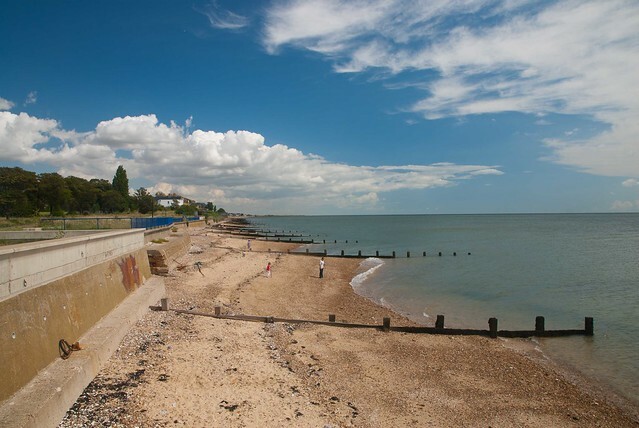 It also boasts sweeping vistas that take in a fair bit of our county’s coastline, all the way from the Dengie Peninsula in the south to Colne Point in the north – beyond which lies Clacton on Sea, Walton on the Naze and, finally, Harwich. Magical Mersea Island is therefore a fitting endpoint for this whistle-stop tour of the Essex coast, though it could well be the perfect place to start your own journey of discovery. Unlike me, you might even be lucky enough to catch a glimpse of one of Mersea’s delightful yet frustratingly elusive red squirrels!